HostUS wants to help you understand which virtualization best suits your hosting needs. 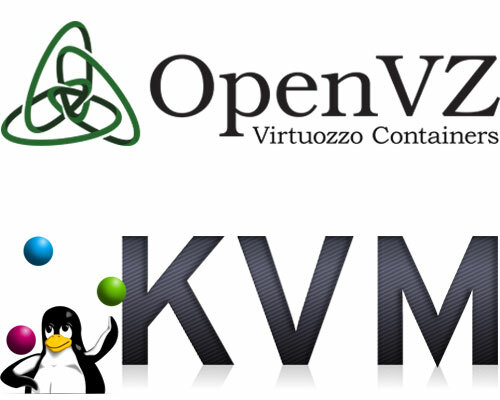 HostUS has two different types of virtualization available, OpenVZ and KVM. Both types of virtualization have distinct advantages and disadvantages. When to Use OpenVZ Virtualization? Use OpenVZ if you want the lowest price for a VPS. OpenVZ is a good entry level into VPS hosting. Via our Breeze Control Panel, you can easily install the OS of your choice. OpenVZ uses a common shared kernel. Because of the shared kernel, overhead is lower and so is RAM consumption per VPS. A disadvantage to OpenVZ would be that a kernel failure could cause a failure across all VPS instances running on the same server. The shared kernel limits the operating systems you can run and keep in mind, the latest OSes with newer kernels may not work under OpenVZ. When to Use KVM Virtualization? Use KVM if you are as business or your project is for a business. KVM is capable of full encryption of stored data. KVM has independent kernels for each VPS. With an independent kernel you can a wider selection of operating systems, including the latest Linux releases, BSD and Microsoft Windows. Since KVM is true virtualization, reliability and uptime on average should be greater under KVM. Please contact our sales team for assistance.